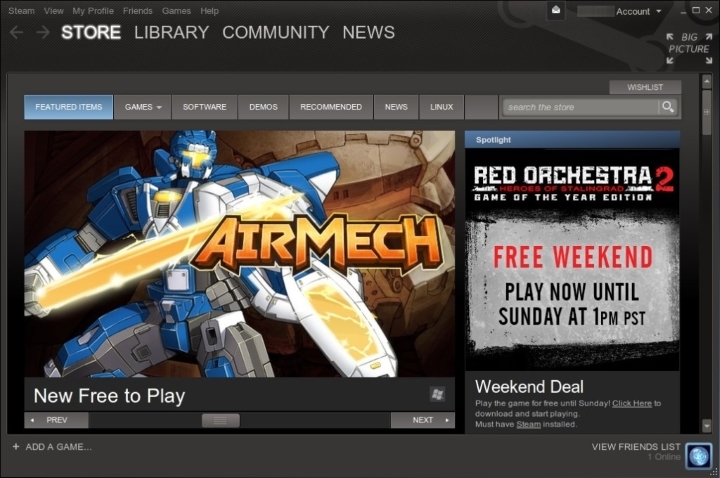 Steam Hits New Concurrent User High – Should Console Game Ports Be Better? It happened on January the 3rd. Steam, the world’s top digital distribution platform for PC games, hit a new record, as more than 12 million users were using the service concurrently on that day. To put that in perspective, that number is greater than the total number of Xbox One and Wii U consoles sold and over half of all PS4s sold to date. And given that Steam has more than 125 million users (even though it is prone to glitches from time to time), which is more than the number of users of all current-gen consoles combined, competitors like Electronic Arts’ Origin service or CD Projekt Red’s Goog must surely be scratching their heads in disbelief. And taking into account how big the PC gaming user base is, it is certainly shocking that there were quite a few bad PC versions of multiplatform games last year. Undoubtedly the worst offender was Warner Bros. with its Batman: Arkham Knight port, which was unplayable for many users on release, and it’s even rumoured that Warner Bros. was aware of the game’s problems and choose to market it anyway, in what was undoubtedly one of the biggest gaming controversies of the year. Also, other big-name titles like Call of Duty: Black Ops III were released with issues on PC, from poor frame rates to lockups and crashes, which frustrated many a gamer looking to enjoy Activision’s latest military shooter. 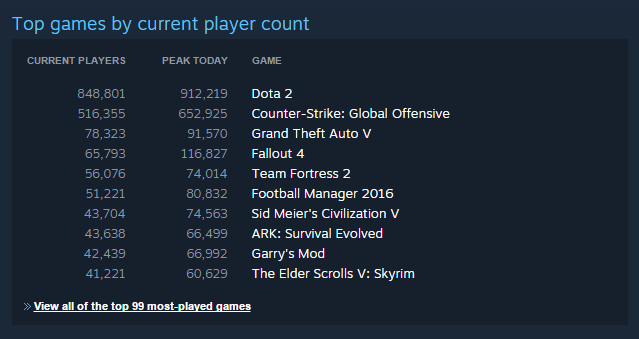 But looking at the most-played video game list on Steam, which Valve publishes on its stats page, it is clear that it wasn’t all doom and gloom last year, as there were some solid PC ports of multiplatform games like GTA V. And it is clear that Rockstar’s game has continued to break sales records on PC, even if it arrived way after the console releases. Bethesda Fallout 4’s post-apocalyptic wasteland was also great on PC, and it is not surprising to see The Elder Scrolls V: Skyrim making the top-played games list too, given that it is one of the top role-playing games of all time, and arguably the PC version was the best of the lot. Also the reason why Bethesda’s games are so revered by the PC gaming community is that they are open to user modifications (mods for short), allowing gamers to add new quests or characters for instance, or simply make the game prettier looking. And it is clear that Steam’s success is an indicator that PC gaming is alive and well, and hopefully those who choose to game on PC will get great versions of highly anticipated games like Ubisoft’s Far Cry Primal, allowing them to have as much fun as their console gaming counterparts this year. How Adult Will Ubisoft’s Far Cry Primal Be?